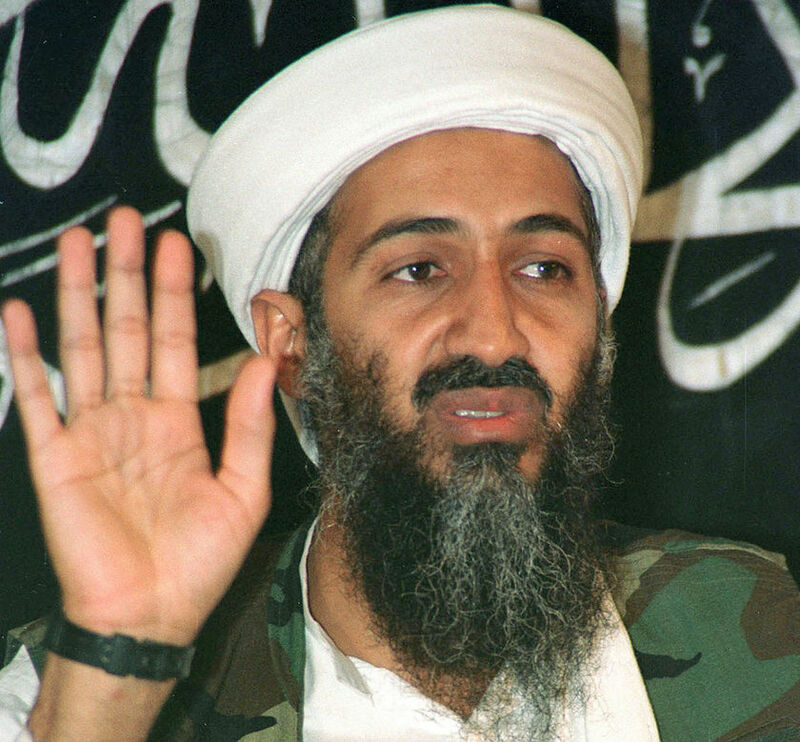 "DON'T HURT ME" Osama Bin Laden has lost his nerve, a Pakistani reporter claims. Once dreaded as the two-fisted titan of terror, Osama Bin Laden has reportedly turned into a whimpering coward who’s literally afraid of his own shadow! “All these years on the run, hunted in every corner of the world, have taken their toll. Osama has become a nervous wreck,” confirms respected Pakistani journalist Ahshan Dareshuk, who was granted a rare interview with Al Qaeda’s head honcho. “Just as I was sitting down with him, there came a loud bang and Osama dove for cover behind the skirts of an old woman who was serving us hummus. “He crouched there trembling like a leaf until someone came in and told him it was just a car backfiring. “Later, when Osama was giving me a tour of his new cave complex, he saw something slinking along the wall. He started pointing frantically at it, hopping up and down and shrieking like a little girl with spiders in her hair. Dareshuk conducted the eye-opening interview in late November and his article ran in the December 15 edition of the Islamabad Journal-Courier. An Al Qaeda spokesman angrily denounced the use of the word “coward” to describe their leader, revealing that Bin Laden was recently diagnosed with post-traumatic stress disorder. “To call someone who has become a little jittery due to PTSD cowardly is an insult to all the brave fighting men and women on both sides of the war on terror who’ve been afflicted by this disabling condition,” declared the spokesman. But retired Marine Colonel Larry “Bull” Garworth, who spent five years tracking the elusive Al Qaeda bigwig, insists the coward label fits Osama to a T.
“Bullies and tyrants come off as tough guys, but sooner or later they show their true colors – and that color is always yellow,” he said. “Think of Adolf Hitler, hiding out in his bunker as the Allies closed in and then taking the chicken’s way out. Copyright C. Michael Forsyth. All rights reserved. « You’ll Squeal Like a Pig! “PIG HUNT” Combines Giant Monster and “Deliverance” Type Horror.